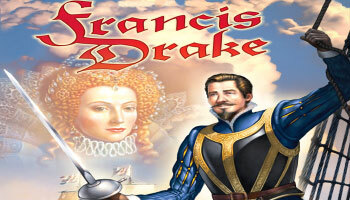 Players will attempt to emulate the feats of Francis Drake by mounting 3 voyages to the Spanish Main. Before leaving England's Plymouth Harbor, they will have to find the necessary crew, guns, ships and supplies. These may be picked up in the streets of Plymouth or obtained via wealthy investors, Queen Elizabeth or Drake himself. Once ready to sail, each captain must chart his course on the Spanish Main and decide which forts, towns and galleons to plunder.